Are you a golden fitter? Have you been around for a while and are now in the golden years of fitting contact lenses? If so, you are not alone. If you speak with the College of Opticians of Ontario or any regulatory college across Canada you will learn that many opticians face retirement in the next few years. We golden fitters have seen it all – from the introduction of soft conventional lenses to today’s daily disposable soft contact lenses. And we have to ask whether soft daily disposable lenses are the answer, given that we deal with the pathological conditions created by hypoxia/anoxia (which in most cases, are directly related to the patient’s failure to look after their lenses properly). I believe that soft daily disposable lenses are the answer for soft lens patients. However, we still have a way to go before they become 100 per cent worry-free. 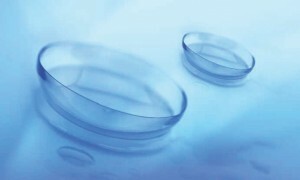 The soft contact lens market is growing, and sales of soft daily disposable lenses are increasing faster than any other modality of wear or lens material. Sales were around 27 million in 2008, growing to 34 million in 2010. This modality of wear offers definite benefits to patients and practitioners alike. At the same time, wearing contact lenses enhances the evaporation of the precorneal film (tear layer) and disrupts the proliferation, migration and exfoliation of corneal epithelial cells. Research shows that contact lenses can actually damage the surface epithelium and expose underlying cells. In fact, contact lens patients are at an 80 per cent risk for eye infections because of the breakdown in surface epithelium. Although the surface epithelium is constantly bombarded by invasive microorganisms, eye infections in non-contact-lens wearers are rare. That’s because our eyes’ natural defense mechanisms are superior to the microorganisms that try to invade the cornea. But once you place a contact lens on the eye you break the balance between the bio-burden – the number of microorganisms on the ocular surface and the natural defense mechanisms – which leaves the eye at risk. Having said all that, will I stop fitting contact lenses? Definitely not, because so many contact lens patients benefit from their superior visual acuity. We just need to be realistic in our approach to dispensing contact lenses. Soft daily disposable lenses are designed for ocular health and represent one of the best options available to wearers but compliance remains an issue. Soft daily disposables are the most-complied-with modality of wear but 12 per cent of patients still keep them longer than they should. So if your practice is based solely on dispensing soft daily disposables remember that your patients are not free from the risk of infection. This is where we need to be diligent and get to know our patients better. Research done by Stapleton, Holden and colleagues in Australia in 2004, showed that two in 10,000 soft daily disposable lens wearers developed an eye infection, compared to 1.7 in 10,000 wearers of frequent replacement lenses worn on a daily basis (bi-weekly or monthly). In other words, there was no significant difference in the incidence of infection between the two types of lenses. Soft daily disposable lenses were supposed to eliminate risks associated with contact lens wear but they actually increased the risks in non-compliant patients, based on the study results. How well do you know your patients? Does the software on your office computer allow you to track their contact lens purchases? Do you call patients for rechecks and reorders? Does a red flag show up when a patient has not ordered lenses for a while? • Do you reuse your daily lenses? • If the answer is yes, where do you store them – in the blister pack containing the same packaged solution? If your patient answers yes to either of the above questions they are at risk and so are you. Why not provide them with a case and a MPDS solution? The soft disposable lens won’t survive – they are designed not to last – but at least the patient will be safer if they keep them for two or three days. We can control what we tell our patients but we can’t control what they do. So if they admit to keeping their lenses longer than they should let’s be proactive and provide them with a means to care for them better. In a perfect world soft daily disposables are the right answer and if we can get them to improve compliance it will become a win-win situation for everyone.